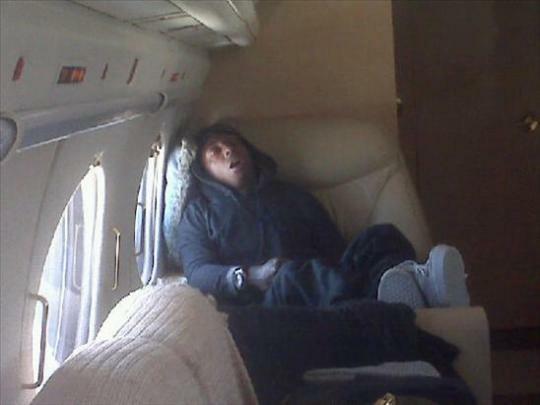 Sleep like a baby on your private jet… or like a superstar rapper. Private jets aren’t just for Lil Wayne! For four years I have written content for ElJet, a private jet rental booking company based in Pasadena. Matching up air travel customers with charter flights to destinations around the world, ElJet is changing the game on private jet charters – namely, making private jet rentals more affordable than ever before. You may think that chartering a private jet is far too expensive for you to even consider; however when you factor in more than one passenger and ElJet’s special empty leg deals, the prices become downright reasonable – and even shocking. Empty leg flights are one of the best-kept secrets of the travel industry. These empty travel segments occur when a plane is only booked one way and is forced to return to its point of origin empty. Rather than take a complete loss on the lack of passengers, the private jet owner sells this flight for a hugely discounted price. ElJet maintains one of the world’s largest databases of these empty leg flights, giving users the biggest selection of itineraries at the lowest cost. Remember – these prices are for a PRIVATE JET. If you are flying with a group of ten friends from Vegas to New York, that’s only $1750 per person – much more than an economy ticket for sure, but let’s compare apples with apples here. On private jets there are no screaming babies (unless you bring one), no one kicks the back of your seat and extra baggage is never a problem. Take eight friends on the flight from Boston to DC and pay only $563 each – for that, you get a luxurious air travel experience on your own private jet. Group travel not only makes private air travel more affordable, but also more fun. This option is perfect for travel to weddings, parties, reunions and other events that beg for an exceptional experience. Categories: Trip Planning Help & How-To's | Tags: charter flights, eljet, private jet rentals | Permalink.